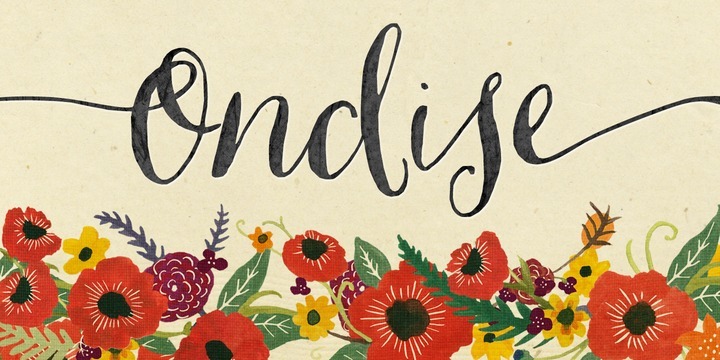 Ondise is an handwritten, calligraphic typeface created by Jessica McCarty and published by Magpie Paper Works. With a natural look, this special font is ideal for romantic projects, invitations, wedding etc. Bring romanticism into your designs again with Ondise! Trademark: “Ondise” is a trademark font name of Magpie Paper Works. A font description published on Monday, September 30th, 2013 in Fonts, Jessica McCarty, Magpie Paper Works by Alexandra that has 23,090 views.